Canada became the safe haven for a young Jewish couple who survived the horrors of the Holocaust. Canada is where they were able to create a family, build a cottage on a lake in Muskoka, and enjoy all of the wonderful things life had to offer. Yet when they thought all terrors were in the past with the war, a horrifying discovery is uncovered. In the crawl space under their cabin, a crate was found and within it, the remains of an unknown human being. Deborah Vadas Levison, daughter of the Holocaust survivors, tells readers her family’s story of what they had to endure not only during this dark present time, but also what her parents had to endure in the dark days of their past. This is not a fictional murder mystery. This is not a Whodunit novel. This is not an intense thriller. This is a real story about a real woman and her family who endured real hardships. 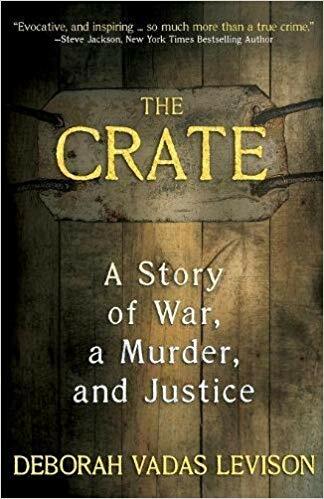 The Crate is author Deborah Vadas Levison’s first novel and she has made an incredible impression in the published world. Her story goes deeper than any mystery novel could, for she focuses on elements other than the terrifying murder her family was forced to become a part of. Instead, Levison focuses on being together with family, overcoming the past to live a better future, and examining the ever constant battle of good versus evil. What truly brings The Crate to life is really Levison herself. Her writing style will make readers feel as if she is sitting in the room with them. Readers will be able to witness everything her and her family endured by her descriptive imagery, the good and the bad, and feel as if they endured it, as well. They will feel a connection to her as she asks questions about topics many people question and ponder. They will be on a roller coaster ride of emotion as she takes them through dark times and happy times. Levison expresses so much within her story that readers will not truly understand until they have read it themselves. Readers should also expect to not hear just one story, for there are a plethora of stories to be found within The Crate, taking place in the past and the present, all about different people who were connected to Levison. Levison tells of her present day life with her husband and children. She journeys into the past, remembering stories her parents told her of their struggles in surviving the Holocaust as well as their escape to freedom and beyond. She reminisces on times during her childhood and memories with her brother. She also tells the story of the murdered victim, Samantha Collins, sharing her life with readers so that others can remember her, as well. All of the stories readers will hear from Levison refer back to the aforementioned focal points within her book. Stories of her family will remind readers that family is the most important thing in life and, during the good and bad times, family is always there. Stories of what her parents endured during the war and even what the Samantha Collins went through before her death give a dark reminder that there is evil in the world and it will always be a mystery as to how people can be so cruel. However, these same stories also remind people that there is also good in the world and it will always be there to battle against the evil, no matter how strong it may be. 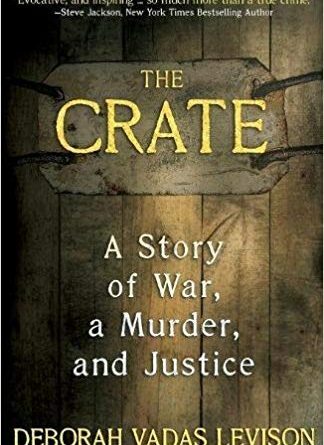 The Crate is a work of nonfiction for readers who are looking for something more than just another mystery thriller. It is a story of life and death, of good and evil, of happiness and hardship. Readers will receive multiple stories upon picking up Levison’s first novel and are in for quite the emotional and powerful journey as Levison takes them through her life and the life of her loved ones. Levison breathes so much life into a story involving a murder and, even during the darkest of times, she reminds readers of what is truly important in the one life that we are all given.